Super Lube Metal Protectant 83032 Non-Aerosol Trigger Sprayer is a synthetic, penetrating oil that provides long term corrosion protection. It is designed to create a moisture displacing barrier that protects against rust and corrosion on steel, aluminum and other metal surfaces. 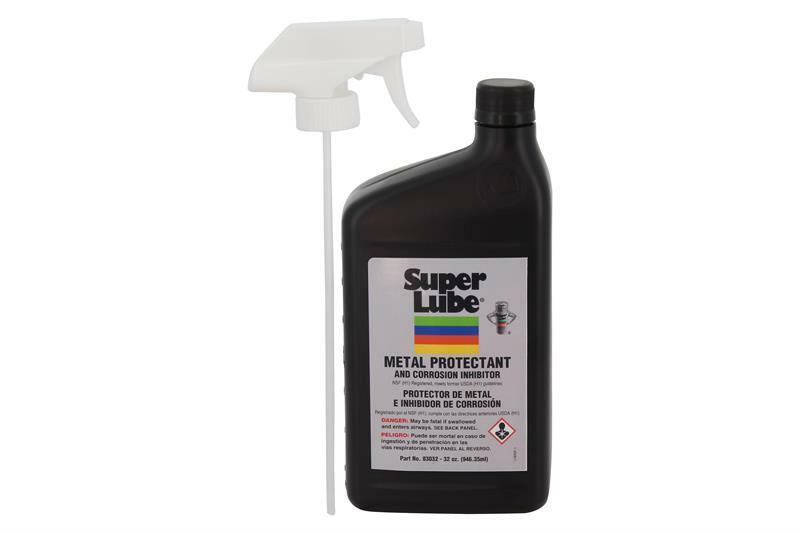 Super Lube Metal Protectant and Corrosion Inhibitor penetrates hard to reach areas while leaving a protective film to help prevent future rusting or corrosion. Apply Super Lube Metal Protectant and Corrosion Inhibitor before storing or shipping equipment to preserve and protect from heat and humidity during adverse conditions.